PARSIPPANY, NJ--(Marketwire - October 22, 2009) - PNY Technologies®, Inc. ("PNY"), a global leader in flash memory, USB flash drives, solid state drives, computer memory upgrade modules, as well as consumer and professional graphics cards, announced successful flash memory card use on the back of a humpback whale to capture and store video, audio, and data on National Geographic Crittercam®. 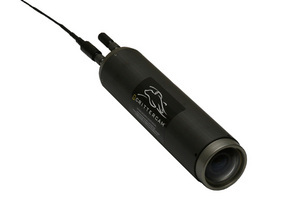 National Geographic Crittercam is a scientific research tool designed to be worn by wild animals to capture rare views and invaluable animal behavior and habitat information. The Crittercam records measurements such as depth, acceleration, temperature, and time; along with awe-inspiring audio and video imagery. Crittercams enable scientists to study animals in their own environment and without human interference variables. As a National Geographic Mission Partner, and the "Flash Memory of Choice" of the Emerging Explorers Program, PNY is dedicated to National Geographic's long-held mission in supporting exploration, education, and conservation. National Geographic's Crittercam team utilized PNY's 16GB Optima™ Secure-Digital™ High-Capacity (SDHC) flash memory cards in their latest projects. Designed for serious photographers and videographers who demand fast, durable, and reliable memory cards, PNY's high-performance flash memory products were used on National Geographic's latest underwater expeditions on great white sharks, humpback whales, loggerhead sea turtles and Humboldt squid. The use of PNY's 16GB SDHC flash memory cards expands recording capabilities to 900 minutes of standard video at 18 frames per second on the Crittercam. During recent Crittercam deployments in Hawaii, humpback whales were regularly recorded with PNY flash memory cards at depths of 500 feet and achieved depths of 977 feet below sea level. 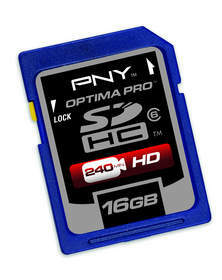 "The large capacity SDHC cards from PNY allow Crittercam to record more video than ever in a very compact size. Using this flash technology also makes the Crittercams tougher and better able to withstand the punishment that they often go through as they are carried by wild animals," said Kyler Abernathy, director of research, Crittercam's Remote Imaging department. "Additionally, PNY's solid-state hard-drives in our field laptops give those devices a better chance to survive the abuse they can endure at the hands of human animals." "PNY's role in capturing this priceless wildlife and undersea imagery and valuable scientific data is extremely significant," said Tony Gomez, vice president of sales and marketing at PNY. "The information now able to be mined can help answer questions and solve world problems for animals and our environment. The durability and reliability of PNY's flash memory cards provide scientists with the flexibility to journey where these animals of the wild roam. If PNY products can successfully function in the extreme conditions of the deep ocean, while strapped to the back of a wild animal, imagine the durability and quality the average consumer is receiving." Marine biologist and filmmaker Greg Marshall created the Crittercam in 1986 with hopes of a non-invasive way to track animals in the wild. Today, Marshall heads the Remote Imaging Department at National Geographic, which designs and deploys the Crittercams. The advent of compact video and recording devices, as well as flash memory technology, has enabled the Crittercam to reach new heights of animal exploration. Visit www.PNY.com to learn more about PNY flash memory products, as well as the complete line of PNY products. Learn more about PNY's ongoing partnership with National Geographic by linking to www.PNY.com/EmergingExplorers. And for more information about National Geographic Crittercam, visit www.NationalGeographic.com/crittercam. The PNY logo is a registered trademark of PNY Technologies, Inc. All other trademarks are the property of their respective owners. Copyright © 2009 PNY Technologies, Inc. All rights reserved. About this company PNY Technologies, Inc.